I've always had the thought a No. 2 guy has to be able to take pitches a little bit. He has to be able to protect the guy on base and be an on-base-percentage guy also so your 3-4-5 guys are getting opportunities. Bunt. Get 'em over. Be able to shoot the ball the other way with a man on second. All those things. Basically, handle the bat. That's a No. 2 guy. All four players to start at least 100 games in the No. 2 spot were switch-hitting middle infielders with little power. Six of the seven players to start at least 75 games in the No. 2 spot were middle infielders with little power and the seventh, Ben Revere, was a speedy, no-power center fielder. In all 17 players started at least 30 games in the No. 2 spot and all but four of them (Revere, Joe Mauer, Jacque Jones, Doug Mientkiewicz) were middle infielders. Gardenhire has used middle infielders in the second spot regardless of on-base skills and overall hitting ability, and not surprisingly the results haven't been good. None of the seven players with at least 75 starts in the No. 2 spot had a .350 on-base percentage there and only Revere, Jason Bartlett, and Orlando Hudson were above .330. Cristian Guzman, who started most often in the No. 2 spot, had a terrible .283 OBP there, and Luis Rivas was even worse at .276. Looking beyond on-base percentage, the Twins' overall production out of the No. 2 spot has been consistently awful under Gardenhire. During his first 11 seasons as manager here's how the Twins ranked in OPS from the No. 2 spot in the 14-team American League: 13th, 13th, 14th, 14th, 12th, 13th, 8th, 12th, 11th, 13th, 12th. Not once in 11 seasons did they place higher than eighth in OPS from the second spot and they were 12th or worse nine times. Once we start, I'll make that final decision. I'll sit down with my staff and our stat guy and see what that computer spits out, and then we'll go from there. If it's coughing, then I'll do it my way. For the past 11 seasons "I'll do it my way" led to ranking among the worst teams in the league at getting production out of the second spot, as Gardenhire chose "handle the bat" middle infielders for a role that logs the second-most plate appearances in the batting order and sets the table for the lineup's power hitters. Sure enough it looked like Brian Dozier, a second baseman with little power and a .280 OBP between the minors and majors last year, would bat No. 2 this year. All the statistical analysis in the world doesn't mean a whole lot if the actual decision-makers don't incorporate it into their decision-making, but whatever Goin and "that computer" said must have worked on Gardenhire because Mauer batted second in the first two games. Of course, it's worth noting that Gardenhire also batted Mauer second on Opening Day in 2008, but gave up on the idea after a week and turned to light-hitting middle infielders Alexi Casilla and Nick Punto. 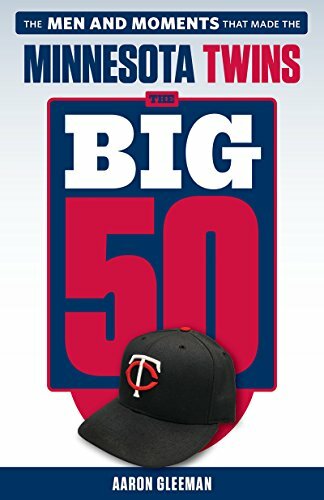 In fact, Gardenhire has batted Mauer second a total of 73 times in nine seasons and Mauer has fared well in the role, hitting .316/.373/.512, but within weeks the manager has always moved the best hitter back into the third spot and inserted a light-hitting middle infielder into the second spot. We'll see if it sticks this time around. If it does Goin deserves credit for making a convincing argument and Gardenhire deserves credit for listening and adapting. Better late than never. Most of the focus on batting orders tends to be about the interactive nature of a lineup, such as a leadoff man getting on base in front of big bats or a cleanup hitter "protecting" a No. 3 hitter, but the bigger impact tends to come from the allocation of plate appearances. Last year, for instance, the No. 1 spot in the Twins' lineup batted 758 times, whereas the No. 9 spot batted 619 times. Moving up or down one spot in the lineup adds or subtracts 15-20 plate appearances. In this case by dropping Dozier from No. 2 to No. 8 they'd take away 100 plate appearances from one of the lineup's worst hitters. And by moving Mauer from No. 3 to No. 2 and sliding everyone else behind him up one spot as well they'd give an extra 15-20 plate appearances to each the lineup's best hitters. Whether you want to call that sabermetrics or common sense, more of the best hitters and less of the worst hitters is a pretty smart approach. OK, I confess, I am from the “bunt ’em over” school of the 2-spot in the order. Not any more. Mauer getting more at-bats is always a good thing. I guess I’ll be rooting for Brain Dozier to keep an OBP under .300 so Gardy doesn’t get the uncontrollable urge to slip him back in front of Mauer. My head is still spinning after listening to that rant by Twins Geek. I think his point boiled down to: changing the lineup only leads to a theoritical, small, number of runs over a season, so instead of doing that, just get more clutch hits – which everyone knows are guaranteed to happen exactly when you need them to. If you haven’t listened to this week’s podcast, do yourself a favor and skip forward 10 minutes as soon as Geek brings this up! None of this matters because the Orioles made the post-season last year. I agree. 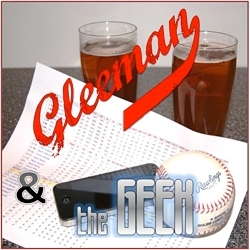 I am a big fan of Gleeman and the Geek. I have listened to every minute of every podcast. I usually even enjoy the pointless arguments they wander off into sometimes. This week though things went far further off the rails than necessary. I buy Aaron’s argument that there is very little else that Gardenhire can do for free to make this team better other than getting better hitters more at bats, clutch hits and the wishy-washyness of sabermetrics aside. Also, if Gardenhire can really just snap his fingers and generate clutch hits he should have been doing that a long time ago. I can’t recommend this. I’ve listened to almost every GatG podcast since Day One, and have never quit in the middle of an episode until this last one. At the 63-minute mark I said “Screw this” and just turned it off. I just couldn’t listen to another syllable from Bonnes. Why isn’t Bonnes in this thread making straw-man arguments about Sabermetrics and otherwise rambling with drunken half thoughts? Great post. I love that Mauer hit in the two-spot today. My suspicion, however, is that within a few weeks, the right move will be to move Hicks to a lower spot in the order, and let Mauer lead off, like he should have been doing for his entire career (outside of maybe 2009). I don’t think Hicks is quite ready yet, as bright as his future may be. At the game today and I had a random passing thought that made me laugh. I kept thinking of Aaron’s post a couple weeks ago stating that the Twins were foolish for not waiting to promote Hicks, and Terry Ryan’s rebuttal that Hicks “earned it.” Whatever Hicks may have earned in spring training, I can’t help but wonder what happens in the event Hicks starts slow and it becomes obvious that he needs more time in the minors (since he completely skipped triple-a and all). And then we’d basically have given up an extra year of Hicks in his prime all so we could risk his development because he had a good spring training. And we’d get a few weeks of mediocre to bad baseball in our leadoff spot. I hope it doesn’t end up that way and I really like Hicks, but with the way things have gone for the Twins I can’t be too optimistic either. about Hicks’s major league service time — isn’t it the same whether he spends the first month up and the second month down, or the first month down and the second month up? I still agree with you either way; better to spend your learning months/years in the minors, and save your major league service time for when you’re ready to produce there. No, it’s not the same. As Aaron has pointed out extensively, by choosing the “month up then month down option”, in 2019 when Hicks is actually good and the Twins will undoubtedly be more competitive than they are in 2013, Hicks will be playing for another team, instead of playing his final year under Twins’ control. 1)If he starts at MLB and hits .175 for a month, do they send him down? It turns into a disaster. If, on the other hand, he starts in AAA and hits .175 or .400, the result is easy either way. 2)Starting him at MLB because he is the best option…ok, but really? He may have the best long-term prospect to excel at CF for the Twins, but I have serious doubts about a rookie skipping AAA putting up significantly better performances for a month+ to make a difference in the team’s win total. It’s a no-brainer to me. I thought that it was the same (cumulative time in the majors, regardless of when it was spent) for the purposes of free agency, but not for how soon he’d get to arbitration. Or the other way around? The service time is not “exactly” the same but either way they can push his free agency back a year by having him spend some time at AAA this year. If he started the season at AAA, he would need to spend about 11 days there before being called up to push his free agency back one year. By starting in the majors and going down later in the season, he would need to spend about 20 days at AAA in order to push his free agency back a year. Once a player starts playing at the majors level, his major league service clock starts, including 2 years of league minimum, and four years of arbitration (September call-ups don’t count, so Benson’s clock hasn’t started.). The clock can be delayed by a whole year if the player doesn’t start his first six weeks if his first year in the majors. If he comes up after four weeks or so, he can become arbitration eligible in his second full year, instead of his usual third. Now that Hicks has played two MLB games, he will be a free agent in 2019, regardless of whether (when?) he gets sent down for some time in AAA. Jeff–thank you…I did not know that it was still possible to delay his free agency a year with AAA time. Does that work for anyone at any point? Agree with comments above. I love Gleeman and the Geek, but that was literally the dumbest argument I have ever heard someone articulate. Seriously, just “get clutch hits” because those are “worth a win each too”? Ok, let’s just get 90-95 clutch hits and we’ll be in the playoffs! They are worth a win apiece! Baseball is that easy!! Also, yes, the 10-20 run difference in doing this may get reduced down to very little in a given season, like John says. However, if you are going to argue that, you can’t discount the fact that it might be worth more in a given season too–it could make a 25-30 run different in a luckier simulation–and that is very significant. I find it hilarious when baseball traditionalists make straw-men about the Sabr-inclined “picking winners” and a computer “telling them whats going to happen” instead of “playing the actual game”. In reality, I’ve found the Sabr-inclined tend to be much more willing to admit how random of a game baseball can be and have much more room for error in their predictions and analysis. I’m sure when John isn’t as tipsy, he probably back down from some of those comments… He’s usually pretty good, for a fairly non-Sabr guy, that is. Bets on when Hicks is sent down? He looks downright passive at the plate. Pitches down the heart of the strike zone yesterday from Sanchez, and he just took them. Against Villareal, just took called strikes, and then swung at something out of the zone. Is he expecting ML pitchers to make mistakes? It’s going to happen less than he expects, apparently. Small sample, obviously. A player is eligible for salary arbitration when they have three years of Major League service, however accumulated, but with less than six years of Major League service. “Super Two” players must have at least two but less than three years of Major League service if he has accumulated at least 86 days of service in the immediate preceding season and ranks in the top 22% in total service in the class of players with at least two years of service but less than three, however accumulated. Players become a free agent with 6 or more years of Major League service. It doesn’t matter how the player gets it. If a player is optioned for less than 20 days in a season the optional assignment does not count and the player is credited with Major League service during the period of optional assignment. I hope this clears up the above misconceptions about Hicks and his service time. That clears it up, thank you. I guess I am used to this argument about players who aren’t ever going to be considered for a demotion. So, if Hicks is over his head, and gets sent down, there is a second path for him to have an extra year of Twins service time. I don’t think Aaron has addressed this before. The answer is NO. We want him to get a base hit and drive him in, which he does more often that almost anyone in the league, every year. Which reminds me–my prediction for the year: Mauer bats .400. The Hicks service time argument is silly to me. Sure it would be nice for him not to achieve Super two, but I don’t feel like its some kind of massive error. Worst case scenario is Hicks is a free agent at age 29, and then you have to assume he is a star and out of the Twins price range. Its impossible to predict now whether or not the Twins can afford him 5 years down the road. Mauer’s deal runs out in 2018. They could also sign him to an extension and buy out his arbitration years like they did with Span. Lastly, one thing that I think that gets glossed over by the SABR crowd is that they are still dealing with humans with emotions. What kind of message does it send to Hicks and others if they send him down after a Spring performance like that? That could hurt them in contract negotiations just as much as Super two. At some point you have to reward people for performance. Hmmm … and just who is about the only “guy” in the Twins lineup that is almost exactly described by those references? See? – Gardenhire didnt have to wait for the computers to spit anything out – he just had to read his own copy. If a guy has never played above AA, he is probably expecting an assignment to AAA to begin the season, no matter how good of a Spring he has. Baseball players aren’t stupid, they understand that spring numbers have limited value in assessing talent level. Organizations talk up the numbers when they want to use them as justification for otherwise questionable decisions. Fans parrot those assertions because they feel inclined to support their team. Skipping directly from AA to the majors, put into the lead-off spot, and “inheriting” the CF position from the likes of Puckett and Hunter…Hicks is now 0 for 11 with 2 walks and 7 Ks. This is a shocking, shocking development, given his amazing spring performance. Enjoy your Twins coverage all the way from Hong Kong. But my thoughts on your two spot for Mauer blog are as follows: number crunching about Mauer in the 2 spot now seems obvious, but where were these numbers during all the years the Twins followed the conventional model to mixed results? I may be wrong but don’t recall reading anything on this particulare point. Enjoy your Twins coverage all the way from Hong Kong. 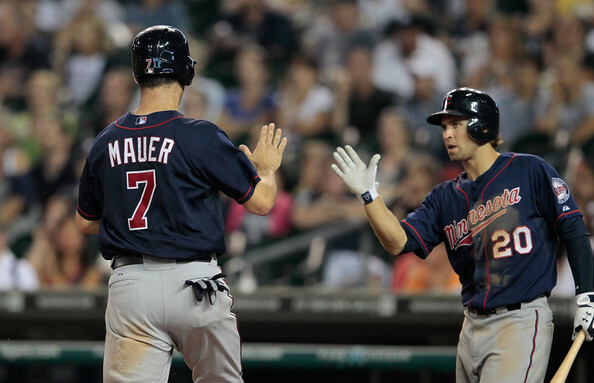 But my thoughts on your two spot for Mauer blog are as follows: number crunching about Mauer in the 2 spot now seems obvious, but where were these numbers during all the years the Twins followed the conventional model to mixed results? I may be wrong but don’t recall reading anything on this particular point. Seth: is this sarcasm? AG has written pretty much this same piece at least once a season for years.